Alongside real brides, Gini Bhogal collaborates extensively with the Khush Creative team to create some of our most iconic images, including this issue’s gorgeous front cover. Our brief for Gini was timeless yet traditional, pared-back but elegant. Known for perfecting the natural look, we knew this was a brief only Gini could answer. 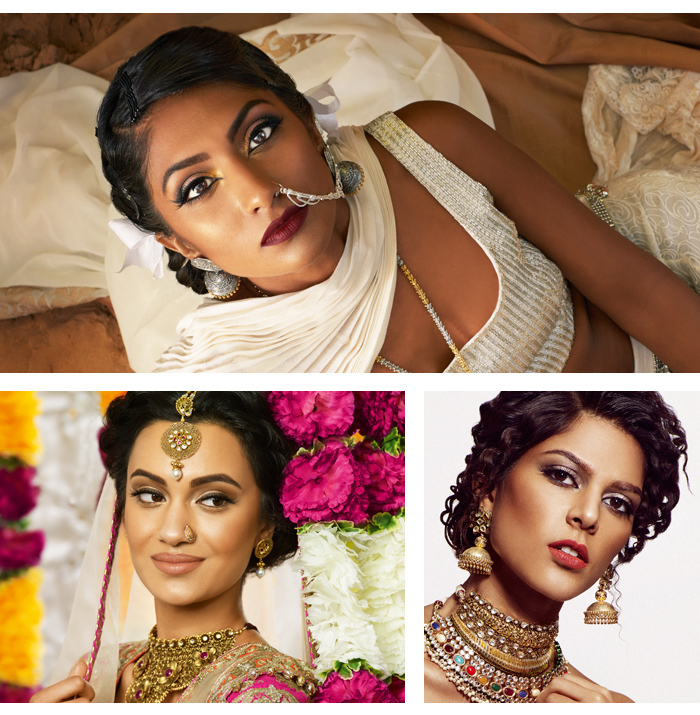 She focused on creating an immaculately dewy complexion, using rich reds to highlight the lips and create the bridal bindi. Smudged kohl and a loosely plaited updo finish the look. The multi-award winning Ekta Solanki is a brand that’s been celebrated across the world. 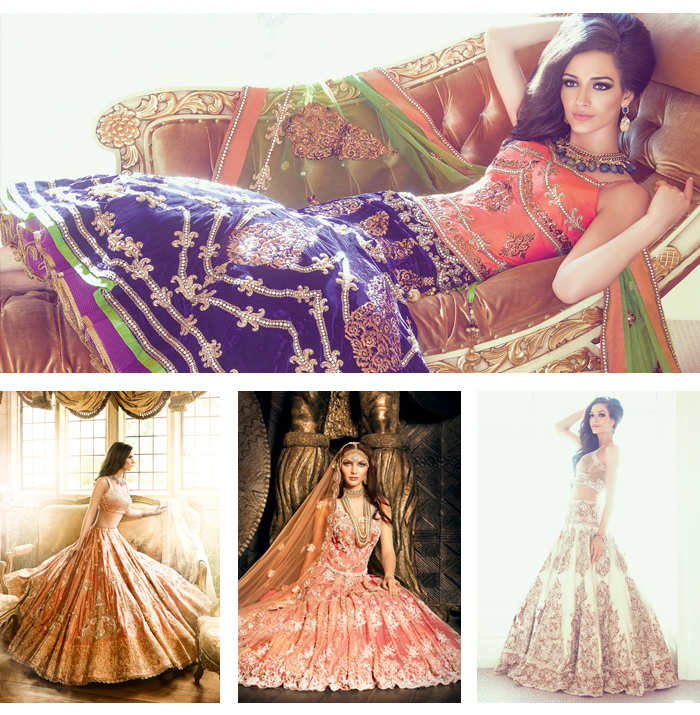 The designer’s experimentation with colour, fabric and cut means she is one of the top choices for Asian brides. The pearl-strewn red and gold lehengha specially selected for the cover is just one example of the exquisite gowns she is known for. The short choli blouse celebrates the feminine silhouette while the A-line skirt adds a dramatic impact to the ensemble. Our cover jewellery was about complementing the grandeur of the Ekta Solanki outfit and the majestic backdrop of Lake Como. Midlands-based jeweller Anees Malik prides himself on creating alluring pieces, so was the perfect port of call for a cover of this scale. Autumn is when layering comes into its own, and that goes for bridal jewels too. 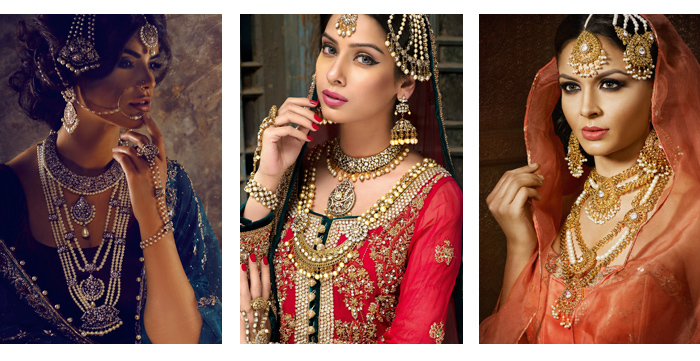 The multi-necklace look works thanks to the varying lengths while the stacked chura bangles emphasise the traditional bridal feel. A gold and pearl encrusted naath finishes the look.